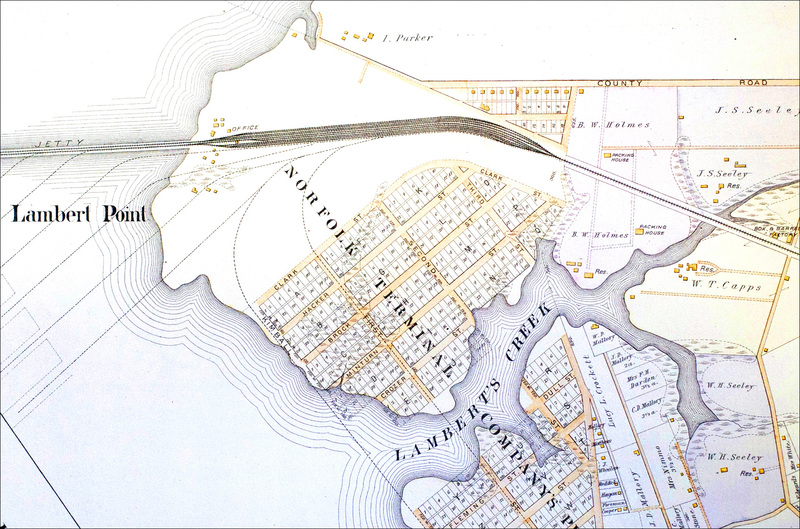 The name Lambert’s Point once signified a large swath of land located just north of downtown Norfolk, Virginia. Its namesake was a small point of land used as a maritime reference point. Today, a golf course, railroad terminal and neighborhood also bear the name Lambert’s Point. The neighborhood now is much smaller. Over the years, annexations chipped away the majority of land and the neighborhood encompasses only .449 square miles. It is bounded and preserved by the geographic boundaries of the Norfolk Southern railroad tracks, the Elizabeth River, Hampton Boulevard and Old Dominion University. Its growth is limited to within these borders. Adjacent to the railroad tracks, the southern end of the neighborhood contains industrial and manufacturing facilities including metal recycling, a water treatment plant and railroad related businesses. To the west, the neighborhood ends at the Elizabeth River, a tidal estuary that feeds into the Chesapeake Bay. The river, once known for its environmental decline, has made vast amounts of progress in recent years. The eastern border of Lambert’s Point stops at Hampton Boulevard, a primary north-south thoroughfare in Hampton Roads. Service and college-oriented businesses occupy much of the space along this byway. The Lambert’s Point neighborhood merges into Old Dominion University around 43rd Street. The neighborhood once went all the way to 48th Street. ODU, with assistance from the city of Norfolk, obtained most of this land for university expansion. The residents of Lambert’s Point are diverse; college students, retirees (primarily African American) and a spattering of blue-collar workers. The population today numbers over 3,000. This neighborhood is constantly changing. Over the years it has evolved from primarily African-American single-family homes to the inclusion of a large number of college students. The combination is not always harmonious. Residents in the Lambert’s Point neighborhood have survived many challenges. Zoning changes, expansion takeovers and proposed highways and tunnels have all led residents to form a strong community base. Detail from 1889 Atlas of Norfolk. 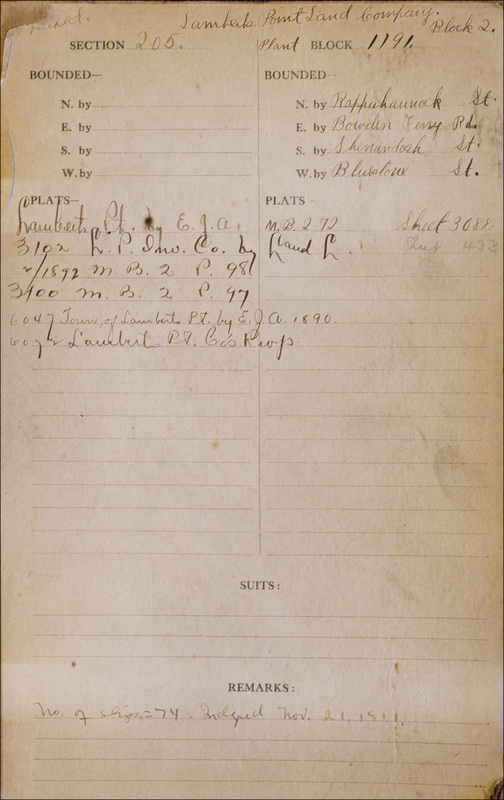 Sargeant Memorial Collection/ Norfolk Public Library. Clipping from the Argus newspaper dated July 16, 1859. ODU Special Collections. A 1911 plat reference from the Guaranty Title and Trust Company. Sargeant Memorial Collection/Norfolk Public Library. 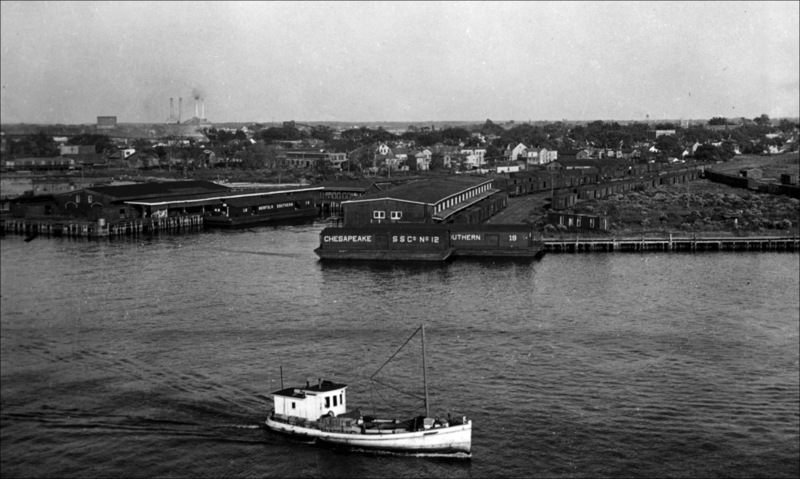 The Lambert’s Point neighborhood is shown at left of railroad tracks, 1934. Sargeant Memorial Collection/Norfolk Public Library.